Are you already in Tokyo and still looking for a way to get connected? It doesn’t take long to realize just how important having reliable Internet is for foreign visitors in Japan’s busiest city, from essential travel apps to staying in touch with friends. The easiest way to stay connected during your trip is to carry a reliable WiFi or 4G signal with you, but where can you get one? Keep reading to learn more about your options and how to get your hands on a Tokyo SIM card or Pocket WiFi! Have you ever experienced taking a bath facing to strangers? Have you ever taken a bath outside? If both or either of your answers are no, you might feel embarrassing about soaking in a public bathtub when a person next to you is an unfamiliar dude or girl. However, it is not really unusual for Japanese people to go to a public bath. Traditionally, Japanese people love to go to hot springs, or onsen. This is true for not only humans. 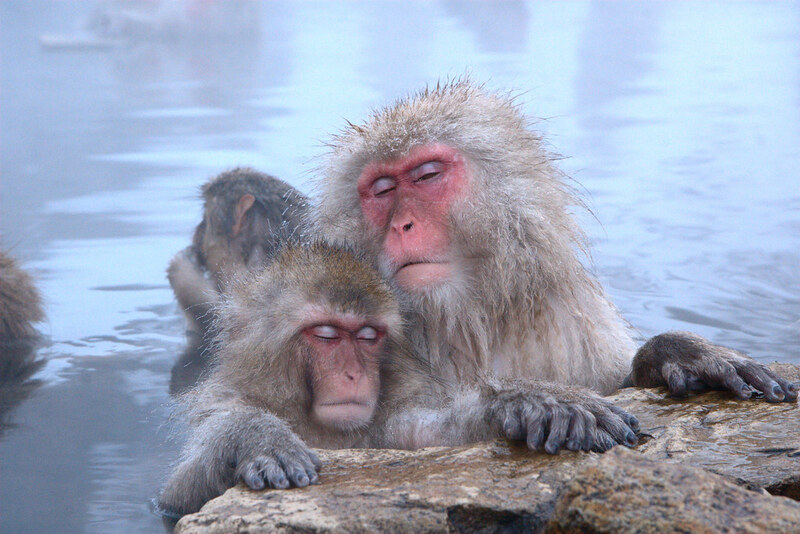 Even monkeys in Japan love an onsen! Monkeys love onsen as well! What do you know about Osaka? How far is it from Tokyo? How are people in Osaka like? I was born in Osaka, so, naturally this place always gives me a feeling of intimacy and warmth. Though I have moved to another prefecture in Japan as well as the United States, Osaka still is my favorite place to be. While Yokohama is a larger city in terms of population, I would say that Osaka is still the second capital of Japan. However, it is definitely the biggest city in Western Japan. Osaka has many particular characteristics that distinguish them from the rest parts of Japan (Tokyo, Hokkaido, and Kyushu.) It is preferable to know and understand them for those who are planning to visit Osaka in the future. Are you ready for your journey to Osaka? Let’s discover it! At almost any given time or place in major cities such as Tokyo and Osaka, you will be able to see the bright glow of a sign indicating the presence of a convenience store. Even in more rural and suburban areas, the distinct glow of the konbini can be seen more frequently than one would imagine. Japan is one of the most beautiful, exciting, and rewarding places to ride a motorcycle. Scenic mountain roads are around almost every corner, the roads are wonderfully maintained and vary from being just a few feet wide in some back alleys to multiple lane highways that stretch across the entirety of the nation. Although this experience is one of the best a biker can undertake, the process of obtaining a bike and legally riding it is difficult at best. Use this guide to better understand how to buy a new or used motorcycle, or simply rent a bike! Think about a situation below. Your Boss: Are you ready for exchanging business cards in Japan? In the United States, shaking hands is one of the most significant actions when you meet new people besides saying hello and introducing yourself. Needless to say, greeting is inevitable for building good relationships in any business settings. However, there are cultural differences in social etiquette depending on countries. In Japanese society, it is fundamentally important for business people to exchange their business cards, or meishi. Business cards are like their faces in Japan.